The fourth edition of this best-selling textbook continues to be a valuable resource for the beginning student in the critical study of the Bible. 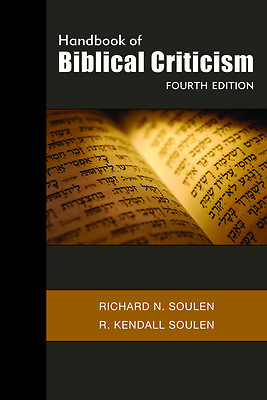 Thoroughly revised to include the newest methods, recent discoveries, and developments in the field of biblical criticism over the past decade, the Handbook of Biblical Criticism is designed to be a starting point for understanding the vast array of methods, approaches and technical terms employed in this field. Updates in this edition also include an expanded dictionary of terms, phrases, names, and frequently used abbreviations, as well as a bibliography that includes the most up-to-date date publications. The Handbook of Biblical Criticism is a valuable introductory textbook and a reliable guide for pastors, laypersons, and scholars whose expertise lies in other fields.